It's the last vacation day for Mickey and the kids. There's white stuff calling to them. "Come out and play." 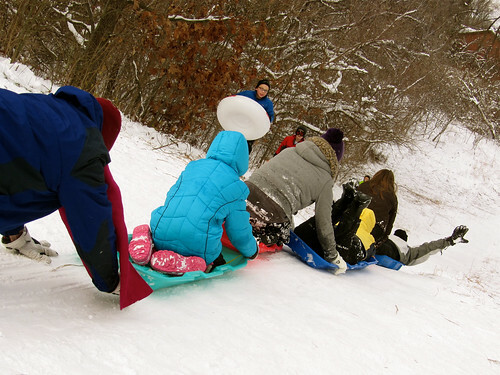 They piled into the van with their sleds and snow board and went to the BIG hill in the neighborhood. They also took some friends with them.